Thought it would be a good idea to have a general thread for MMA including updates and news for all the organizations (UFC, Bellator, WSOF etc.). I'll probably put some of the lesser cards here too so it doesn't clutter the semi-existent board. Stipe Miocic (11-1) has a co-main event with former Heavyweight Champion Junior Dos Santos (16-3) at UFC 173 on May 24. Talk about a step up for the native Ohioan. Headlining the Memorial Day weekend event will be Weidman vs. Machida for the UFC Middleweight Championship. Cincinnati native Matt "The Immortal" Brown returns to the octagon on May 10 for a bout with Erick Silva (16-4) at U.S. Bank Arena in his hometown at UFC Fight Night on May 10. Brown (18-11) is in the midst of a career resurgence winning 6 consecutive fights, 5 by KO. Eddie Alvarez vs. Michael Chandler III is on tap for the first Bellator PPV on May 17. Alvarez (25-3) defends his Lightweight Championship against Chandler (12-1). I could watch Alvarez and Chandler fight as many times as they want to. Last edited by Yellow_Jacket06; 04-11-14 at 02:50 PM. Last edited by Yellow_Jacket06; 04-16-14 at 09:24 PM. Big Nog needs to retire. He got mollywhopped by Big Country. Is that really only 1:24 left in the first round ? The guy in the red trunks looks like he has no business out there. I could have scored that knockout. I'm 50, and I have less of a gut than the guy in the white trunks. Did they pull these guys out of the audience ? Last edited by cabezadecaballo; 04-12-14 at 06:19 AM. I would pay good money to see you fight Roy Nelson. Both guys would finish you in a minute or less. Nelson is a black belt in BJJ and has a cinder block for a right hand. Nogueira was already knocked down twice in the round before that punch. No chance to recover. Gentlemen, the odds are in favor of your statements, but you really have no idea, do you ? Had the fighter in the red trunks just been rocked ? Pretty lazy left hand for that early in a fight. Just reread jacket's post. 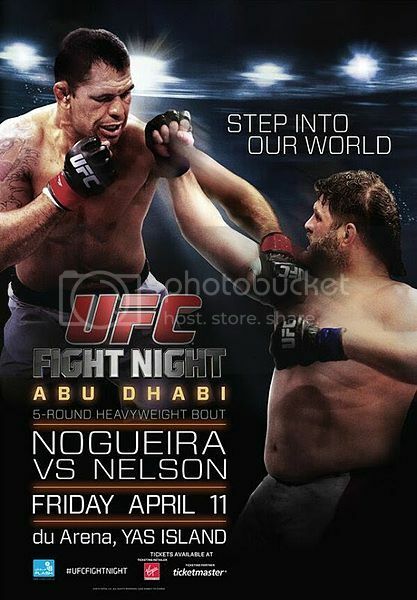 Makes sense about Nogueira. Last edited by cabezadecaballo; 04-12-14 at 05:57 PM. Stranger things have happened but the chances of Dillashaw winning are as close to nil without actually being nil. Re: Belfort - I'm pretty sure he is still in line for a title shot but since the new ban on TRT he needs time to get his body regular and adjust to training. I don't see anybody else who really deserves a shot ahead of Belfort. Maybe Machida, but f that guy. Couldn't agree more.. Belfort has looked really good his last couple of fights. The question is how much of that was due to the extra juice he was getting? Even Joe Rogan acknowledged the fact that TRT Vitor was fighting at the same level he did when he was 19. New TUF premiere just started. Bellator champion Lyman Good fails to get into the TUF house, losing to an inexperienced fighter and Dana loves every minute of it. Even his opponent told Dana "Bellator champs don't belong in the UFC" after the fight. Another Ohio fighter from East Liverpool was winning his fight until he blew his knee out. Almost had 3 Ohio guys in the house. Josh Stansbury. He was a wrestling state qualifier in 2004, I think it was. Patrick Walsh a former Ohio State wrestler from Boston made it in. Last edited by Yellow_Jacket06; 04-18-14 at 10:00 PM. Who's your top picks from each team/weight? I'll go Anderson & Lima from Team Edgar ...... Berzin & King from Team Penn. Overall last night I think Lima was most impressive fighter. He should make a deep run. A tough call considering the Irishman Cathal didn't have to fight. We don't know what he can do. For Team Edgar I'd pick Walsh/Lima. Team Penn = Spohn/King. 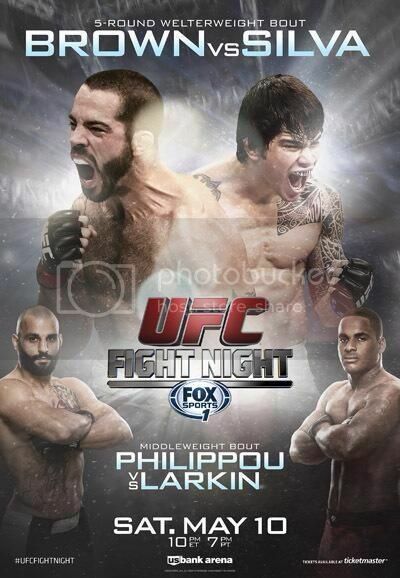 I think a lot of people will agree with Lima & King as highlights in Middleweight. LHW is a tougher call IMO. Edgar got the better team I believe. Look out for Gordon and Urbina at MW. 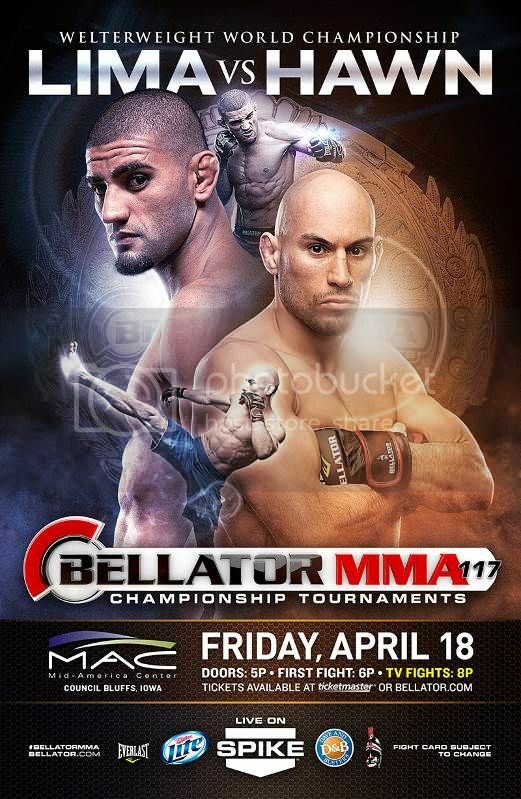 Douglas Lima claims the Bellator Welterweight championship. Destructive leg kicks force Hawn's corner to throw in the towel. Last edited by Yellow_Jacket06; 05-10-14 at 02:26 AM.